The Electronic Classroom of Tomorrow (ECOT), has been running appalling commercials against the Ohio Department of Education (ODE) as part of its public relations campaign to prevent ODE from conducting an audit of the eschool’s attendance. The school has been running these commercials on television and had them produced after they filed a lawsuit in Franklin County in an attempt to stop ODE. You can read about and see the ads here and here. It turns out that ECOT founder Bill Lager hired his own daughter’s company to produce those commercials and other media for the school using his position as owner of the school’s management company. The commercials, and the majority of ECOT’s media publications, have been produced by a central Ohio company called Third Wave Communications, LLC. ECOT doesn’t directly employ this company – they are employed through ECOT’s management company, Altair Learning Management. That’s not all that unusual in the context of Ohio’s “public” charter schools. It is typical that the school itself doesn’t actually run the day-to-day operations, instead hiring a private management company. In the case of ECOT, founder William Lager created Altair for the purpose of running the schools operations when he founded the school. Per the management agreement with ECOT, Altair is entitled to 4% of all revenues received except federal funding. Altair is also entitled to .5% interest on any outstanding balance. The management fee for the fiscal year ended 2015 was $4,319,135. As of June 30, 2015, all fees had been paid to Altair. ECOT contracts with IQ Innovations, LLC for the purchase of curriculum services for ECOT students. The cost of services for fiscal year ended 2015 was $17,961,962. As of June 30, 2015, $0 was outstanding and payable. IQ Innovations, LLC and ECOT’s management company, Altair Learning Management I, Inc., have the same principal owner. Despite the fact that these companies are effectively performing the full administrative functions that a typical public school district operates with public employees subject to all laws governing the spending of public monies, Altair and IQ Innovations are currently shielded from having to publicly account for the manner in which they are spending our public dollars. As a result, we may never know exactly how much money Altair (i.e., ECOT) is paying Third Wave Communications on these commercials, along with the other functions the media company is performing. If ECOT was a “public school district” like Cleveland, for example, we would be very interested in this particular relationship. For example, Cleveland Superintendent Eric Gordon would not be permitted to hire a company to produce commercials for the school district if that company was run by his daughter. In fact, according to the Ohio Ethics Commission, such an act would be criminal in nature. Third Wave Communications, LLC, was registered as a corporation on May 2, 2012. And who has a major position at Third Wave Communications? 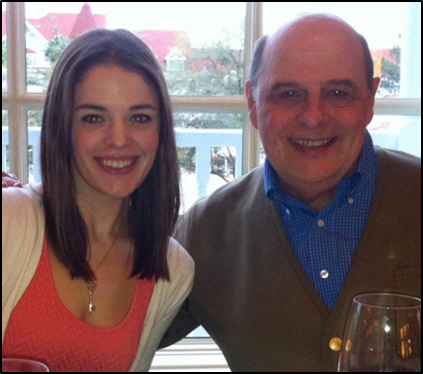 That would be Jessica Lager Harris, the daughter of Altair owner Bill Lager (below right). Third Wave Communications can be found online at www.3wavemedia.com, where you can see some of the other work they have done in addition to the extensive work for ECOT/Altair. 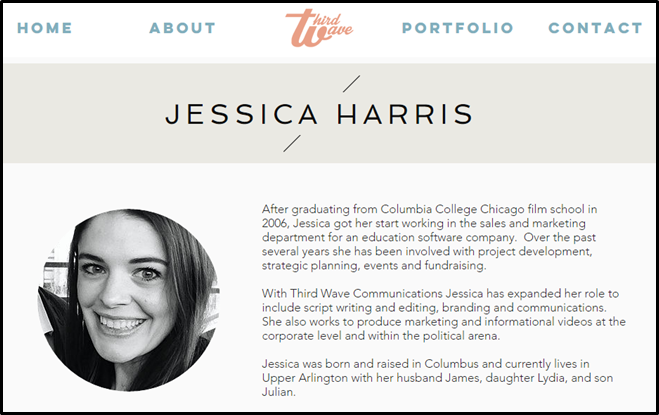 One interesting item about Third Wave Communications, LLC, is the origin of their website. You would think it would have been established early on by the founders of the corporation. Or was it? Is Third Wave Communications, LLC its own company or is it actually a subsidiary of Altair? 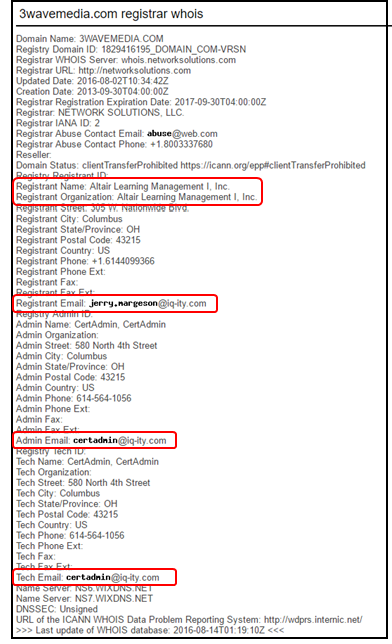 Or is it connected to IQ Innovations, Lager’s other company, as evidenced by the Registrant, Admin, and Tech email addresses on file for the initial registration and current maintenance of the company’s website for the past three years? There are more pieces to this puzzle that we are assembling, but one thing is clear – Bill Lager, the principal owner of Altair Learning Management has hired his daughter’s company for media production services for ECOT. Under normal circumstances, the laws governing public contracts would prohibit this type of connection where public dollars are being spent. But the rules are different for charter schools – they can spend money however they want. 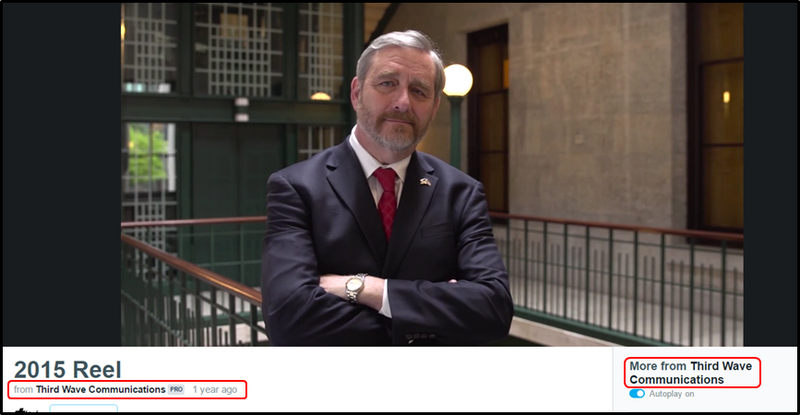 Now that State Auditor Dave Yost is backpedaling on some of his comments from last year about charter school accountability and funding now that ECOT has sued the Ohio Department of Education, it makes us wonder what has changed.